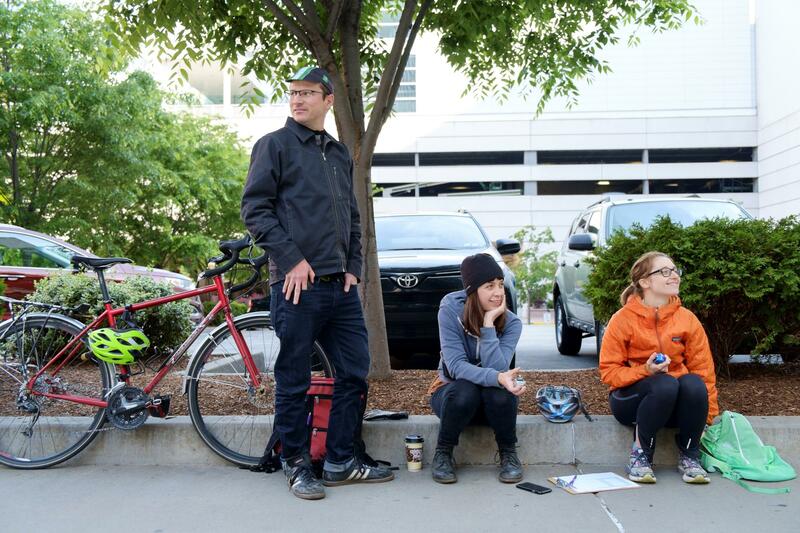 From left: Eric Boerer, Rachel Dingfelder and Kate Hails count the number of bicycles and cars passing through the intersection of Penn Avenue and 10th Street on Friday, May 20, 2016, during national Bike to Work Day. The Pittsburgh Department of City Planning will hold its third and final public meeting on its new Bike Plan on Monday. The new Bike plan replaces the 1999 version and will set the agenda for Pittsburgh’s biking infrastructure, events and education initiatives. Bike Pittsburgh Advocacy Director Eric Boerer attended one of two previous meetings, which he said included maps where residents could mark areas that they'd like to see become safer and more accessible for cyclists. Boerer said these simple displays are useful in identifying priorities. Attendees can also provide input on what types of infrastructure, such as bike racks and bike lanes, the city should invest its limited transportation dollars in. When the first Bike Plan for Pittsburgh was approved, there were only two trails in the city. Seventeen years later, the number of trails, lanes and services dedicated to biking in Pittsburgh has mushroomed. Boerer said the new plan will make it easier for organizations like Bike Pittsburgh to receive grants and funding because it will ensure their initiatives are in line with the city's broader goals. Representatives of Healthy Ride, a bike sharing program with 50 stations around the city, will also be at the meeting to solicit public feedback about the 10 new stations they are proposing. 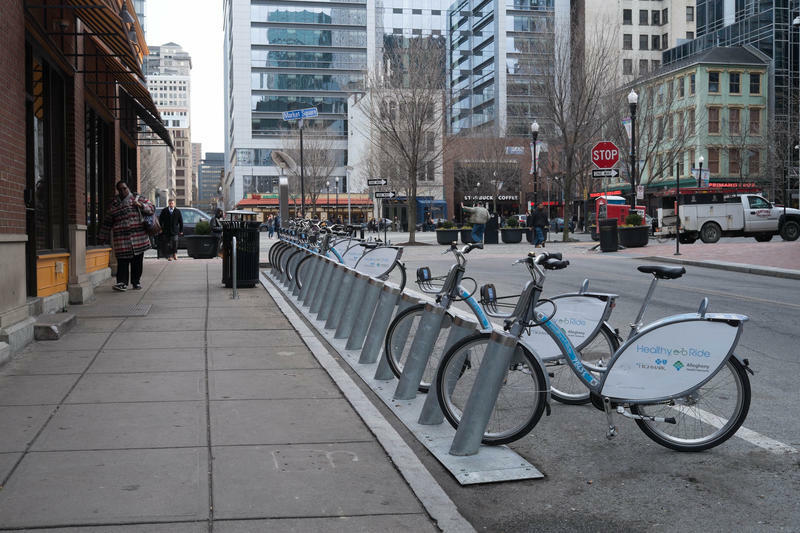 “This is our opportunity to connect with the community and ask them where they want to see bike share stations, and where bike share stations make the most sense” said Healthy Ride spokesperson Erin Potts. While Healthy Ride will attend the meeting, its bike station expansion will not be written into the official city plan. The new bike plan is expected to be finalized by this fall. 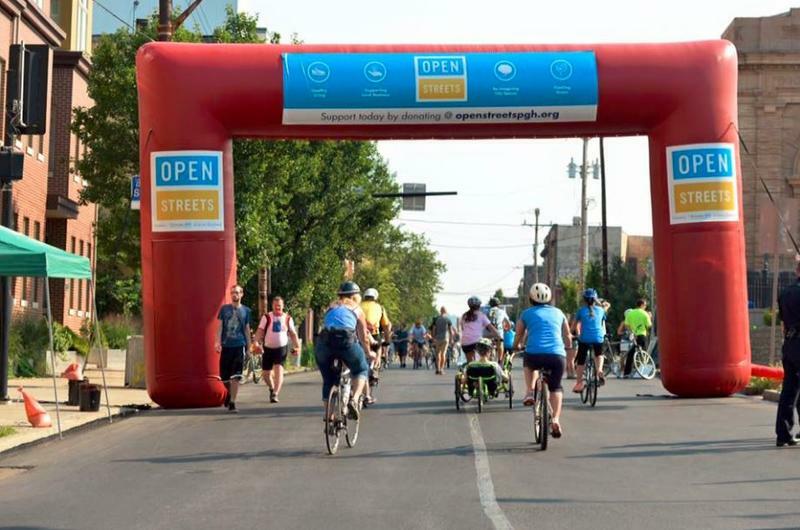 Pittsburghers can explore parts of Downtown, Lawrenceville and the Strip District unimpeded by cars on Sunday for the summer's first Open Streets event. 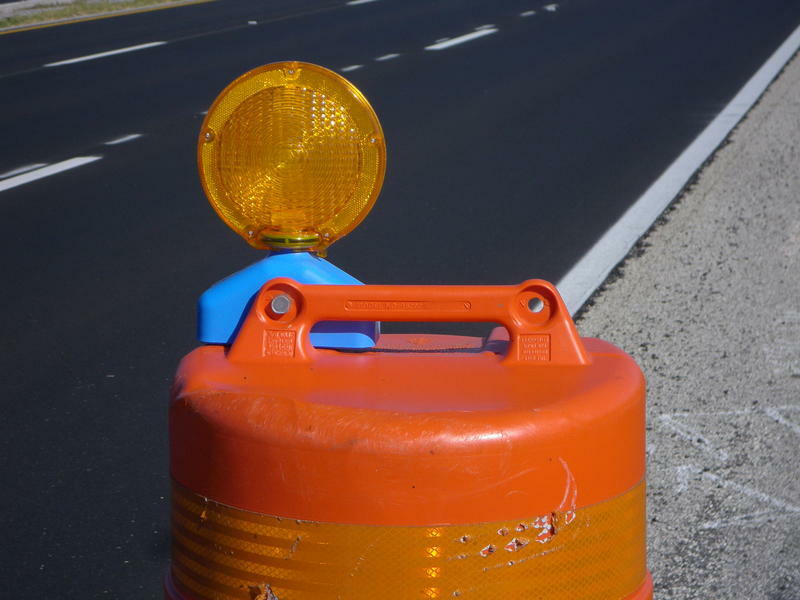 Vehicle traffic will be barred for a 3.5-mile stretch of Penn Avenue and Butler Street from 9 a.m. to 1 p.m., but drivers will be able to cross at several intersections. Last year, about 44,000 people took part in three block parties combined. Bike Pittsburgh is releasing the sixth edition of its City Bike Map this week and organization leaders said the city has come a long way since the first edition. The North Side will become the home of the city's newest bike lanes. The City of Pittsburgh is installing bike lanes on East Street in the North Side, between Suffolk Street and Lareda Street. 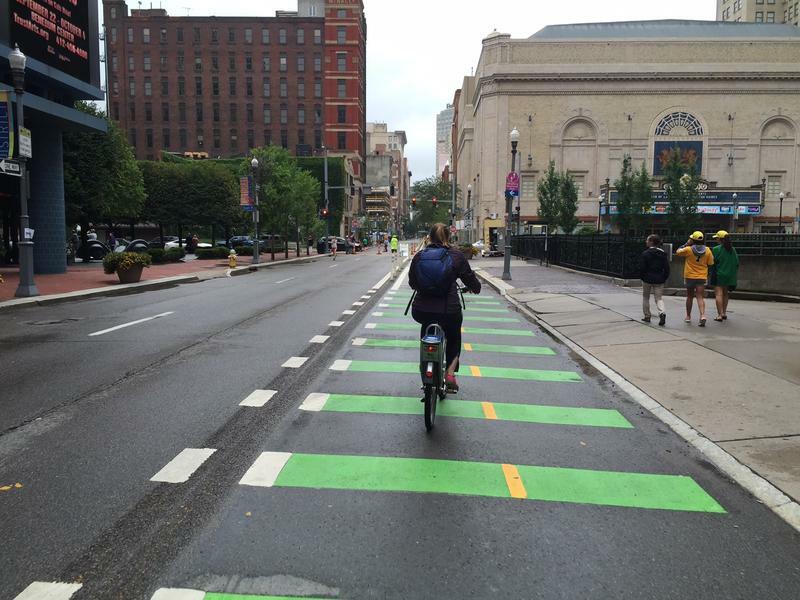 In September, the city installed bike lanes along Bigelow Boulevard and Bayard Street in Oakland. Ridership along the Penn Avenue bike lanes is up at least 25 percent since June, according to data released last week by the Pittsburgh Downtown Partnership. Spokesperson Leigh White said they counted roughly 1,000 trips per day on average in July. Ridership also spiked on weekends, she said. The 90-year old structurally deficient Liberty Bridge will undergo its first major renovation in 30 years starting in April. “It’s due,” said state Department of Transportation District Executive Dan Cessna.